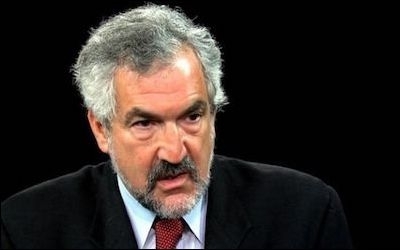 Daniel Pipes is an American historian, writer and commentator; he earned a doctorate at Harvard. In recent years, he established himself as one of the most prominent researchers and analysts of radical Islam. He is president of the Middle East Forum think tank and publisher of its specialized journal. His work focuses on U.S. foreign policy and the Middle East. Pipes is the author of sixteen books. He visited Bulgaria at the invitation of Bulgaria Analytica. 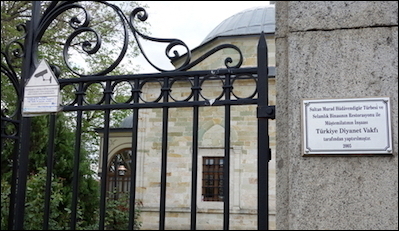 Middle East Forum President Daniel Pipes: "I expect Ankara to pour substantial resources into gaining religious and political influence in Southeast Europe." Faktor.bg: Turkey has now openly sided with Qatar in its quarrel with Saudi Arabia, Egypt etc. How dangerous is this in terms of isolating Ankara from the Sunnis in the Sunni-Shia conflict? Daniel Pipes: As I see it, the danger lies elsewhere: in Ankara and Tehran joining together to support Qatar. That potentially could precipitate a war between them and the Saudi-led alliance, and that in turn could jeopardize the Persian Gulf's oil and gas exports, possibly leading to a global economic crisis. Faktor.bg: Turkey supports the Muslim Brotherhood, Hamas, the Nusra Front and other organizations which many Arab states have declared terrorist organizations; might those same Arabs designate Ankara a terror-supporting state? DP: Egypt's government has already called for Turkey to be treated like Qatar, though no one else echoed this appeal. I would be surprised if this happened. Governments like the Saudi one would rather win Ankara over. Despite appearances, Putin (left) is the bigger bully. Faktor.bg: Moscow and Ankara maintain an uneasy alliance of sorts, but had incompatible interests with respect to Bashar Assad, Crimea etc. How do you see this relationship progressing? 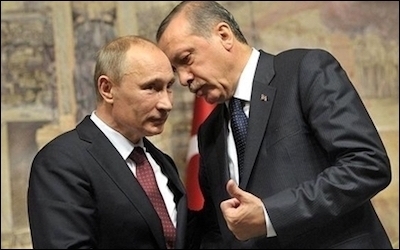 DP: Bullies like Putin and Erdoğan can form tactical but not strategic alliances. They constantly look at the other with suspicion and, inevitably, issues will arise that will cause major friction between them. So, expect rocky relations. Faktor.bg: Will Doha ultimately succumb to Saudi pressure or is it likely to become even more bonded to Tehran? DP: That is the question of the hour. I hope for the former but expect the latter. Faktor.bg: Concerning Erdoğan's neo-Ottoman ambitions in the Balkans: Are these likely to be pursued further and how successful will they ultimately be? "The Balkan region has a special place in the Turkish imagination." DP: The Balkan region has a special place in the Turkish imagination for it alone is the region to which the Ottomans brought Islam. The deep Turkish influence on the region is symbolized by the word Balkan, which means "mountain" in Turkish. Further, the countries are small and more easily influenced than other neighbors of Turkey. For all these reasons, I expect Ankara to pour substantial resources into gaining religious and political influence in Southeast Europe. Faktor.bg: Is Erdoğan capable or willing to destabilize the Balkans? DP: He is both capable and willing. Islam offers one main tool – building mosques, sponsoring imams, inviting students to Turkey, and so on. Elections offer the other main tool. That Turkey's labor and social policy minister, Mehmet Müezzinoğlu, explicitly came out for DOST, the party of Bulgaria's ethnic Turks ("We must support the DOST party") points to Turkish intentions. Faktor.bg: What can the Western powers do to prevent this destabilization? DP: Stand up to Erdoğan. Unfortunately, that does not seem imminent. It's much easier to pretend that all's (almost) well in NATO. Faktor.bg: Will the European Union eventually stand up to Erdoğan's blackmail and what is Ankara likely to do then? DP: The West, and NATO especially, have been achingly slow in their response to the massive shifts in Turkey over the past fifteen years. I am pessimistic about a truly robust stand, though incremental improvements continue to take place. Perhaps, eventually, a crisis will teach Westerners what the problem is. "The West, and NATO especially, have been achingly slow in their response to the massive shifts in Turkey." At that point, depending on who is in charge in Ankara and what the circumstances are, the response could be very aggressive, including the seizure of Greek islands, the dispatch of illegal migrants, joining forces with Russia or Iran, and other hostile steps. Faktor.bg: What will happen when Erdoğan's clients in Syria suffer military defeat? DP: Tehran will control a territory from Afghanistan to the Mediterranean Sea. It will be a crisis for every state that resists Iranian influence, from Afghanistan to Israel. Faktor.bg: How is Erdoğan responding to a referendum for Kurdish independence in Erbil? DP: He hates the prospect. The Kurdistan Regional Government is one of the few polities to sustain good relations with Ankara; these will not likely survive a Kurdish declaration of independence. Erdoğan worries about the effect of this move on Turkey's Kurds. It will rile up his allies, the Turkish nationalists. It will disrupt dreams of Turkish return to what is now northern Iraq. It threatens the breakup of Iraq and unpredictable regional instability. Faktor.bg: What options does he have in response to the KRG declaring independence? DP: He can apply economic and possibly military pressure on the KRG. He can reconcile with the Iraqi central government in Baghdad to pressure it, as well as with Tehran. I expect he will be unforgiving. Faktor.bg: Is serious regime-threatening opposition to Erdoğan possible in Turkey? DP: At this point, no. Erdoğan controls every lever of power – the executive, legislative, and judicial branches of government, the armed forces, intelligence services, police, banks, media, educational institutions, and so on. But if economic problems or foreign adventures become too much for the Turkish populace, they could certainly rise up against the regime. At that point, his many enemies will find each other and coordinate.